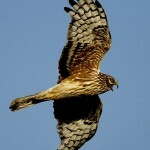 The Government is aware of incidences of illegal killing of birds of prey and Ministers take the issue very seriously. To address this, senior Government and enforcement officers in the UK identified raptor persecution as a national wildlife crime priority. Raptor persecution is subject to a prevention, intelligence, enforcement and reassurance plan led by a senior police officer through the Raptor Persecution Delivery group. The National Wildlife Crime Unit, which is funded by the Government, monitors and gathers intelligence on illegal activities affecting birds of prey and provides assistance to police forces when required. Shooting makes an important contribution to wildlife control and conservation, biodiversity and to the social, economic and environmental well-being of rural areas, where it can provide a supplement to incomes and jobs. The overall environmental and economic impact of game bird shooting is therefore a positive one and it has been estimated by the industry that £250 million per year is spent on management activities that provide benefits for conservation. When carried out in accordance with the law, shooting for sport is a legitimate activity and our position is that people should be free to undertake lawful activities. There are no current plans to restrict sport shooting in England. This Government encourages all shoot managers and owners to ensure they and their staff are following recommended guidelines and best practice to reduce the chances of a conflict of interest with birds of prey. We acknowledge that crimes against birds of prey are abhorrent but it should be noted though that, despite instances of poisoning and killing of birds of prey, populations of many species, such as the peregrine falcon, red kite and buzzard have increased. While a small minority is prepared to kill birds of prey, and where possible these people are brought to justice, this demonstrates that the policies in place to conserve these species are working. Well, there are a few mistakes in there surely? Not least, the fact that government doesn’t even know that this e-petition is now closed to further signatures. ‘Shooting makes an important contribution to wildlife control and conservation’ – means what? And this is an e-petition about grouse shooting not shooting in general. Is this government in favour of wildlife control – it certainly seems that it might be? ‘The overall environmental and economic impact of game bird shooting is therefore a positive one’ – eh? ‘therefore’? Such a lapse in logic would be castigated in an undergraduate essay! ‘it has been estimated by the industry that £250 million per year is spent on management activities that provide benefits for conservation’ – but that is for shooting as a whole and this is a petition about grouse shooting. And does this mean that government simply accepts the industry figures for everything? What about the conservation industry’s views then? This is a response that suggests, once more, that Defra doesn’t know what it is talking about. And also it doesn’t care about the facts. In fact, it is an apologia for shooting rather than a response to the e-petition signed by 10,000+ voters. The Defra response takes the approach that there isn’t a problem so there isn’t anything that need to be done about it. There is a problem, and something does need to be done about it. Licensing might be a good approach, but there are others too, but we have a government that isn’t even on the right page on this subject. The government response is extremely helpful to those of us who believe that more needs to be done about illegal persecution of raptors – it shows that this government has its head in the sand. The reply could have been written by the Countryside Alliance. But what did you expect from a Tory government ? By essentially repeating the standard countryside denial and justification this reply will reinforce criminality. It may not have been a good idea to do this under the Tories. Er, I thought this was a coalition government involving both Conservative and Liberal Democrats? Keith - so did the rest of us, but they seem to have gone missing? Keith - think we talked about delegation when we met. You don't really think that all Ministers see everything do you? Collective responsibility is most impressive where you take your share of responsibility for things you didn't see. Anyway, whoever saw it - it's appalling. Can't find a reply button for you Mark, so I'll reply to myself! We did talk about delegation and no, Ministers don't see everything. However, outer offices and special advisers will see most stuff, especially if it is deemed to be politically important/sensitive, and if it tweaks their political antennae will refer it upward. Perhaps the continuing winter flooding clear-up, the badger pilot cull aftermath, budget fallout, forthcoming european elections and current Whitehall preoccupation with the Crimean crisis have simply pushed the 10,400-odd-signature-strong-petition to the bottom of the priority/action list? Perhaps the issue is just not deemed important enough to warrant ministerial or senior official attention or oversight and has been delegated down to some hapless junior official? Who knows? Keith - oh no! We don't have Defra dealing with the Crimea do we? I think you mis-spelled 'hopeless' there - no 'a' in 'hopeless'. Ha, Ha! I expect Crimea features quite highly at Cabinet just now, where I think all Secretarys of State and various ministers attend/are represented. (Specific COBR meetings will feature a more select group). Perhaps we should just stick with the "ConDem" title attributed to the 'model' at the start? Many of you write that they are condemning our natural environment and wildlife so why an issue with the term ConDem? If it's party lines that worry folk then collective culpability as it is reputedly a 'coalition'? Stevenson - welcome and thank you. Perhaps; but had The National Wildlife Crime Unit (which is funded by the Government) seen licencing as the solution I guess it would have already asked for it? I've voted on one or two e-petitions this last year, and I've come to the conclusion that the sole purpose of e-petitions on the government website is purely to allow us mere mortals vent steam - please can you remind me of any e-petitions on their website that have made a positive change (Dr Brian May's may have made it to a vote, but that was soon "whipped" down). That's not to say I won't keep signing them. PS. If I could, I would "Like" the post twice since the accompanying ostrich photo is spot on. Tim - thanks v much. When you have a ballot paper in your hand just remember the disdain with which this government responded to your views. And the response does give quite a lot away about how dire things are in Defra. Mmmmm. Perhaps time for a new petition to get a response from Defra that actually addresses the points raised in the first petition. An alternative one might be a call for a 'cull' of Defra? Then there are the unelected 800 and the other assorted 650 - when will we see a drastic reduction in keeping with the rest of the austerity measures? Bog standard stock answer that isn't really an answer! 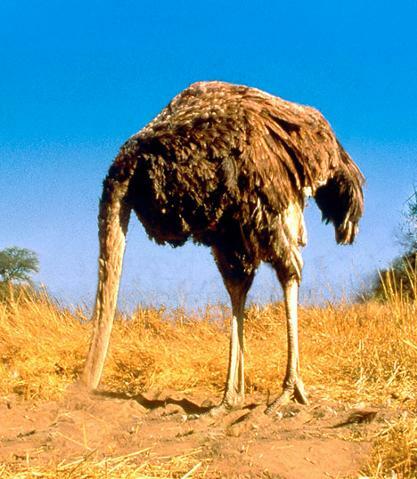 Love the Ostrich photo - brilliant visual interpretation. You're right, this really is an appallingly shoddy response. Clearly it has come from a PR firefighter rather than an official with any scientific grounding. At least I hope so, as the circular logic is painful to read. "We think shooting is a good thing, therefore shooting is a good thing. We don't think there's a problem for raptors, therefore raptors are fine." John - welcome and thank you. Stella - it's just another example of the fact that they don't know what they are doing, I would say. Simple incompetence. The "[activity x] provides job and a boost to the economy" argument never makes much sense to me. The same could be said of drug dealing, trafficking and the illegal wildlife trade, surely? Tom - yes indeed, and has been, by me at least! Thanks for your comment and welcome to this blog. What a shockingly bad response! They might as well have said "we don't care what you think, so we're not going to do anything". Mind you the petition didn't actually mention hen harriers by name and it was pretty predictable that no-one from Defra would address that issue unless forced to. Time for a new petition? This Government really has taken contempt for wildlife (and indeed, the views of anyone other than the landed) to new levels. That is a poor poor response - where however is the leadership of the RSPB in this? Their lack of willingness to get involved has provided the respondent here with cover. The Countryside Alliance is the armed wing of the Tory Party isn't it? This is the British State under a Tory government ! It is trampling the bulk of the population and looting public services with impunity, in the interests of its backers, who include the City and related landed interests benefitting from estate tax breaks - among other things. It is immune to media criticism including the BBC which is wholly deferential to the establishment. The petition was treated with an obvious contempt which reflects that background. Why do you think that is the product of some departmental technicality ? - We do not have a Tory government, it is a Conservative/Liberal Democrat coalition. - 10,424 signatories (of the petition) do not necessarily represent the bulk of our 63 million strong population. - With the national deficit approaching a record £1.4 Trillion, 'looting' bloated, non-wealth generating, public services to redistribute to the productive tax revenue generating private sector is perhaps not such a bad idea. - Departmental technicality? More like a minority issue that in the grand Whitehall scheme of things, is pretty low down the national and departmental priority list, and is receiving the time, attention and resources (given the competing demands), that such priority can be afforded. The e-petition achieved the number of signatures that the rules dictate should elicit a response from the relevant department and we have a right to expect that response to be unbiased and competently written. It is a red herring to suggest that the government is focused on the Crimea, the economy or whatever - Defra is the department responsible for wildlife conservation (amongst other things) and should be able to put together a proper response to a petition that relates to the potential extinction of a bird species from England. The response given was very poor in that it unquestioningly accepts the views of the shooting industry's own evaluation of the societal benefits of shooting whilst dismissing concerns about raptor persecution on grouse moors with irrelevant statements about Red Kites and Buzzards. It also completely fails to address the specific proposal of the petition saying just that the government has no plans to restrict shooting and that people should be free to pursue lawful activities. The petition actually proposes a licensing system which would allow those who pursue lawful activities to continue doing so whilst restricting those who are breaking the law but there is no acknowledgement of this or consideration of the merits of such an approach in Defra's reply. 10,000 signatures may not give us the right to expect a change in the law or in policy but we certainly have a right to expect a response that is not evasive, biased and incompetent. I don't doubt that increased awareness would increase abhorrence, although I think it would be fair to say that many of the RSPB's 1.1 million members and the WildLife Trusts' 800K members are probably well aware of the issue, and many of them of the petition - certainly more than 10,424 I would guess. It appears that they just don't believe that licensing is the answer. Keith - what do you think is the answer? The answer? Well, as requested, here are some thoughts - I expect it lies, as always with such intractable issues, in involving all the interested parties in some sort of 'conflict resolution' dialogue, aimed at finding common ground and solutions that take into account the concerns of all parties. Whatever is decided upon must be acceptable to the majority of stakeholders or it simply won't work. Moderates in all parties must be encouraged and incentivised, while extremists should be marginalised. Above all, trust must be established between the conflicted parties and as that can often take a long time, patience is required – think marathon not sprint. See the SNH’s rather good paper on the subject here - http://www.snh.org.uk/pdfs/publications/commissioned_reports/611.pdf . In the interim, continue to put pressure on the law breakers by rigorously enforcing existing law. The CPS, Procurator Fiscal, judges, sheriffs and magistrates all have suitable tariffs to deal with the guilty. No point in devising and rushing new, possibly unworkable and counterproductive, legislation onto the statute book - witness the hunting ban, dangerous dogs act, handgun legislation etc Utilise modern surveillance & tracking technology (now much cheaper and easier to deploy widely), to enforce the law. The consequent detection rates and associated deterrent effect should be significant. And simultaneously, why not run a pilot of the Langholm-derived 'quota system' by translocating young BoP to suitable areas where the conflict potential is lower and the scope for their protection is higher (eg on restricted military training areas such as Dartmoor). If successful, these populations could then help regenerate other UK stocks. Keith, I know the government is in a bad way financially but it's the national debt that's approaching £1.4 trillion not the deficit which is the annual shortfall on its budget. I suggest the deficit could partly be addressed by a ceiling on the welfare budget for farmers and a hen harrier tax which would work in a way similar to the bedroom tax. 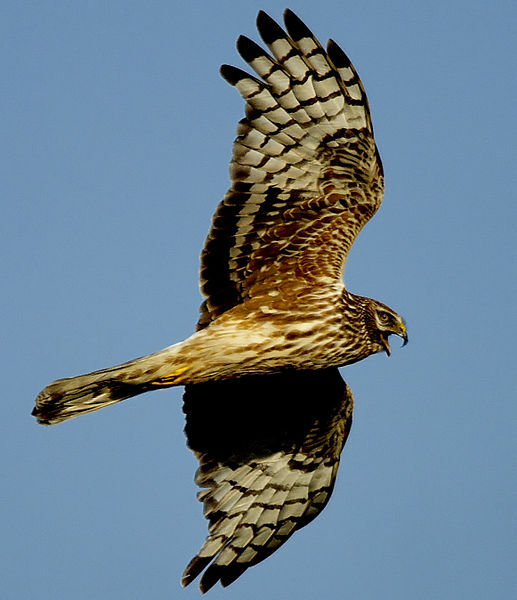 Anyone owning a grouse moor which has less hen harriers than it's carrying capacity should pay it at a rate of £100,000 per pair missing. That should put the economics of grouse shooting into better perspective. Philip - love it! Thank you. Unfortunately it was to be expected,think whichever party was in power the reply would have been exactly the same. These fools think that they are big guys who can bully Russians about Crimea,what a joke,someone needs to point out they are just all hot air these days. Get real and sort out our own problems. This is another example of a government that just doesn't give a damn about wildlife or nature conservation in general. Its Written like we should be grateful that the peregrine, buzzard, and red kite are doing well- and that the shooting establishment are responsible for this. What rubbish How do they make an important contribution to conservation. The only contribution that is made to animals by these people, is to the ones they are going to shoot. I am so angry and upset by this. I have been a member of the RSPB for years as well as other wildlife organizations and love the work they do i just wish they would get angry, and shout more because that government response is just disgusting. Please DEFRA tell us how much of the £250 million is tax payers money like Higher stewardship, loss on paying tax, Corporate incentive or like in football cash from mafia type business or do we need another e petition to make you do it. Freedom of information any one!! This is indeed a woefully inadequate response by DEFRA on behalf of Government, they should not be allowed to get away with it, the errors in the response should be immediately pointed out to them. It seems that for grouse moors the open door policy this govt has to the moorland assoc pays off, at least one can be reasonably sure that the door will be closed to them under a labour govt. No Keith the time for talking to the MA, CA and NGO is long gone it has been shown to be entirely unproductiveand gives them a credibility they do not deserve whilst damaging the credibilty of conservationists who do the talking. For what it is worth, my view is that the credibility of those 'conservationists' and indeed all those involved in the latest round of talks - who are still striving to find solutions and to resolve the conflict - have enhanced both their reputations and credibility considerably! More power to their collective elbows. I wish them every good luck in this largely thankless task and am sure their persistence will pay off in the end. For what it is worth, my view is that those 'conservationists' and indeed all those involved in the latest round of talks - who are still striving to find solutions and to resolve the conflict - have enhanced both their reputations and credibility considerably! More power to their collective elbows. Isn't the point about peregrine falcons increasing a myth too? As I understand it the population rise is no more significant than the decline seen in sparrowhawk numbers. The real message with peregrines is that fewer and fewer natural nest sites are now occupied hence why nearly every large town has at least one nesting pair - they are much safer there! Certainly not the case on the north Cornish coast. Four to five pairs, all in natural sites, within 12 miles of my front door. This is an increase of 1-2 pairs over the 11 years I have lived here. And there are surplus birds as well. Watched an exhilarating spectacle yesterday, as the resident pair from my local eyrie were involved in a furious 'dogfight' with a persistent interloper at their breeding cliff. Some phenomenal flying and high speed stoops with the intruder suffering a couple of really close shaves. Sorry for the delay in replying. I am not surprised there is a surplus of young, maturing birds but this is not necessarily a reflection of the productivity of wild birds but because the young dispersing from urban areas stand a better chance of surviving to look for a suitable nest site. I know of plenty of Welsh sites that are no longer occupied not through the attention of gamekeepers or pigeon-fanciers but because young or eggs were taken for the illegal side of the falconry trade. BoPs will desert a site where they consistently fail to breed. I only discovered about the petition today - too late - by reading Simon Barnes Wild Notebook.